Anyway, like I was saying, Syrah is one versatile grape. You can press it, crush it, punch it down, co-ferment it, saignée it, méthode champenoise it. There's red Syrah, Syrah rosé and even sparkling Syrah. That's about it. Amista's got them all. Proprietors Vicky and Michael Farrow envisioned Amista—which loosely means "making friends," although my translation widget suggests "fabricación de amigos," a winery name one notch cooler, don't you think?—as their retirement project. I'm guessing that they made fast friends with a viticultural adviser in thrall to the late-'90s "boom" in Syrah, because they ended up planting a good deal of it. So what if people come to Dry Creek Valley mainly for the Zinfandel? The Farrows made "sparkling Syrah"—and it made them a lot of friends. Amista's just off Dry Creek Road, at the end of a long, purely functional gravel driveway separating two vineyard blocks. Conveniently close to the Dry Creek General Store, Amista's shaded patio is a popular bring-your-own-picnic spot. Wine club members often make reservations for a small patio party. Inside, clues abound that the tasting room was intended to be a 10,000-case working cellar—the center drain, the roll-ups, the ventilation—but, well, retirement isn't supposed to be a full-time job. Staff are friendly, and I didn't overhear any heavy wine-club pitches. All wines are from the estate's Morningsong Vineyards, Dry Creek Valley, unless noted. First up, there's a bonus bubbly, the NV Blanc de Blancs ($34). Made up of estate-grown Chardonnay, and fizzed up at Hopland's Rack and Riddle, this solid sparkler smells of dried apple wafers and sour apple candy—bright, green Granny Smith flavor and just half a teaspoon of sweetness on the finish. Amista gets its Zin grapes from down the road. The 2008 Saini Farms Zinfandel ($34) is toasty and sweet, raspberry jam on graham cracker, with malted carob ball—I'm just grazing from the bulk bins today—and a warm, well-knit finish. I'm told that the NV Sparkling Syrah ($32) makes a really good mimosa. But not a sunrise mimosa: this isn't that blood-red sparkling Shiraz; it's pink, creamy and vaguely aromatic of seashell or oysters—or maybe that's just the food pairing. The 2011 Rosé of Syrah ($20) is sound, crisp and dry; unusual for Dry Creek Valley the 2006 Syrah ($30) displays the wild, smoky, animal-fur and old-lawn-clipping aromas of a cool-climate Syrah, with substantial tannin, in comparison to the 2007 Syrah's ($30) juicy, claret-like berry liqueur with vanilla highlights. But that's how it is with vintage years. You never know what you're going to get. 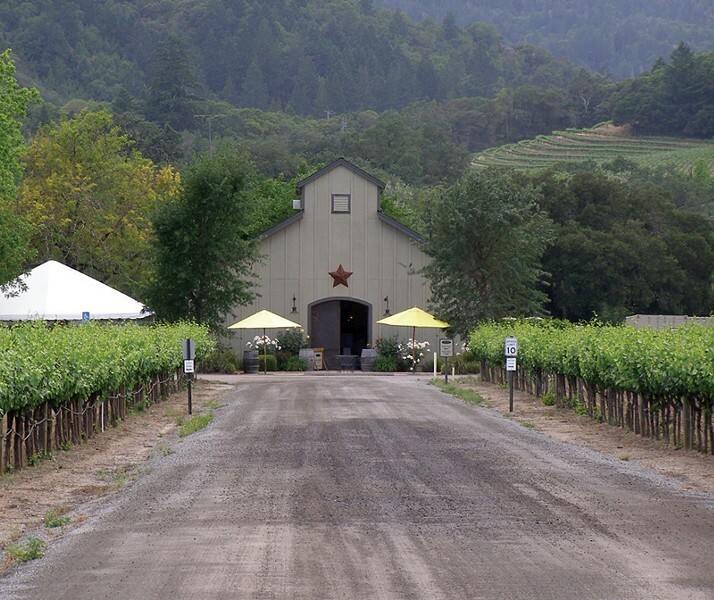 Amista Vineyards, 3320 Dry Creek Road, Healdsburg. Daily, 11am–4:30pm. Tasting fee, $10. 707.431.9200.